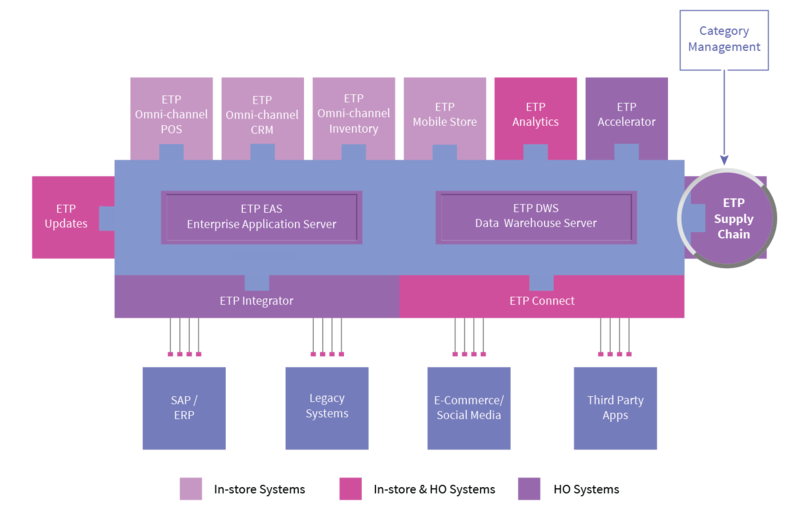 The category management feature in the ETP Omni-channel Order Management Solution allows you to break down your range of products into discrete groups of similar or related products, known as product categories. The same can be used for e-commerce category master. It is a systematic, disciplined approach to managing a product category as a strategic business unit. This is very useful as organisations often align people with product groups in different roles like Merchandising, Buying, and Marketing and so on. This will also help in reporting and reviewing performance of product categories in order to make the right business decisions.